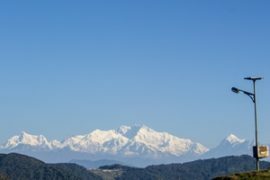 ‘The Himalayas’ brings with it the image of a colossal mountain range, a treasure cove of natural beauty, a tourist’s delight and a hiker’s paradise, a touch of tranquility amidst sylvan settings. This two and a half thousand kilometer range stretches from Namcha Barwa in the east to the famous Nanga Parbat in the west. 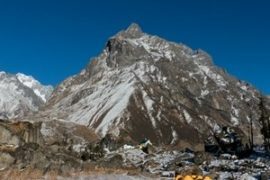 Punctuated with picturesque gompha’s amidst enchanting trails, some explored, some still virgin the Himalayas boast of satiating any mountain lover’s quest for an experience of a life time. The Himalayas offers you a spectrum of experience. From a dedicated alpinist’s engagement on a challenging eight thousander to a weekend tourist’s pleasure trip who sips on a cup of mocha by the balcony of his cozy hotel room. From an aspiring rock climbers heaven on the hard granite cliffs to amateur hiker’s discovery of a virgin trail which leads him to the realm of spiritual transcendence. 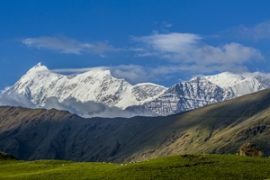 Words would exhaust but it would fail to condense the sheer variety of experience that the Himalayas offer to a mountain enthusiast or to a casual nature lover. The Himalayas have it all. Amongst the captivating spectrum of experiences there exist a few paradoxes. While one offers you the comfort of a resort, the other requires you to step out of your comfort zone and venture into the unknown. 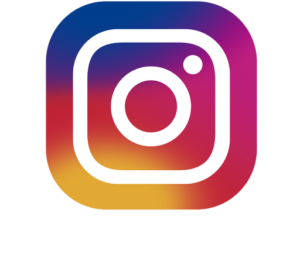 We, Himalaya Trekkers (HT) as an organization cater to the latter version seeking pleasure in hardship and getting rewarded in terms of mesmerizing views and experiences that are immortal. Yes, we are speaking of Trekking, Hiking and Back Packing on the Himalayan slopes. For the initiated the imagery is vivid and multi coloured. While it is a pain to wade through snow laden mountain trails at sub zero temperatures gasping for a precious breath while negotiating the steep terrain, there exists esoteric rewards of humming birds, scent of mist and juniper with a chance to encounter with one of the very amiable hill people. Camping on grassy meadows, beneath the Milky Way sipping on hot coffee in cozy tents with the nature beckoning you with her clarion call to explore is indeed an experience which no hotel room with its walled comfort can offer. Those who live this life will never trade anything for it. For the uninitiated, it is nothing but one might ask all those inevitable questions. Why take so much trouble? Why walk for long hours on uncomfortable terrain? Why be dirty and feel cold and sleep in uncomfortable sleeping bags! Why exhaust one? When one can see the same mountain from the balcony of his hotel room in comfort? What is so special about all the adversities that one confronts up on the mountain slopes? “Oh do not ask what is it? 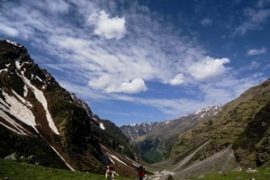 A trek in The Himalayas is not just a trek; it is an experience all by itself. An experience which involves all your senses, the sight of snow-clad peaks, the clean smell of mist in the air, smoking hot Momos which melts in your mouth, sound of rugged nature, and the cold touch of the icy wind, it is all an eclectic, indescribable experience. Although the senses remain the same, the feelings will always be unique to every person. There will be some who will never discover the unsaid beyond the word “The Himalayas”, but if you are reading this, you can be one of those who do. 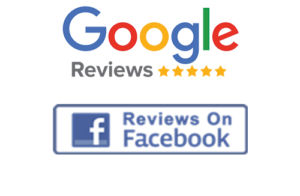 As for us, we’ll guide you through the basics, so that you’re free to explore yourself amidst this magnificent wonder of nature in a freewheeling mind. 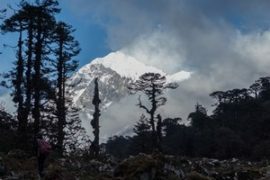 you are ready not just to see but to smell, touch and taste ‘The Himalayas’ let us know.